This post is written by Eli, a 2014 Brookie, and avid birder. He has a number of feeders near his home, as well maintaining a sanctuary area for birds of all kinds to enjoy. Eli is also a boy scout, and often instructs younger scouts on good birding practices. Here, he writes about vagrant birds, and some of the reasons they will occasionally be spotted in nontraditional locations. All photos are also taken by Eli. 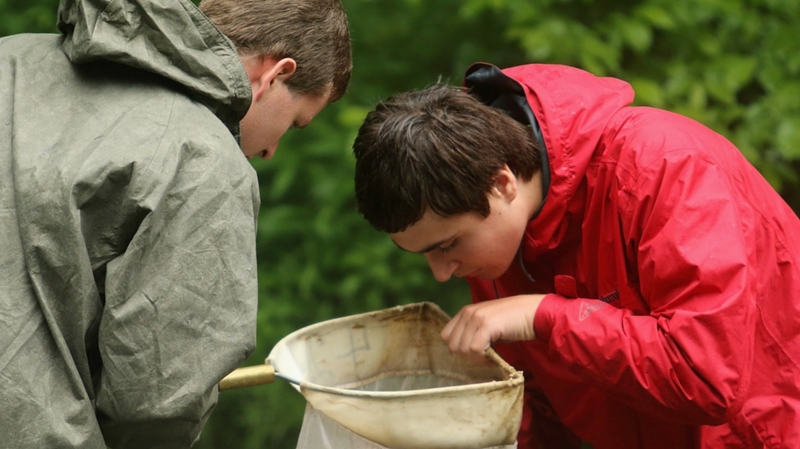 Applications are now available for both youth and adult mentors for the 2015 summer field schools including Bucktails, Brookies Drummers, and Ursids! Click here to learn more. Two weeks ago, I was leading the bird chat at the Appalachian Audubon Society meeting. There were the usually juncos, cardinals, titmice and other usual suspects as birders call them being reported. Then out of the blue one Auduboner shouted out, ‘’Brown Thrasher!’’ Upon hearing this, the rest of the group let out a big ‘’aww’’ immediately followed by some quiet murmuring among the more experienced birders. As the witness to the sighting testifies in front of the birding ‘’jury”, the jurors either convince the witness he or she is wrong, or the sighting is confirmed and the witness is congratulated. In this case, the evidence stood and the sighting was confirmed. Unfortunately, the trial did not reveal the reason for this bird’s utter ignorance of traditional migratory patterns. 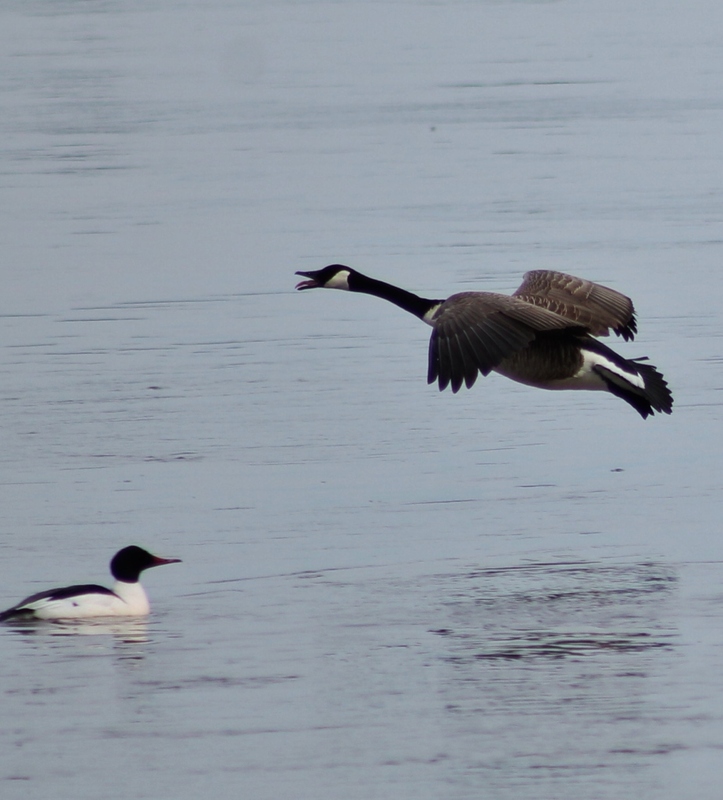 Instead of the Gulf Coast, this hardy bird chose to stick it out in Pennsylvania, where it was a balmy -2 degrees. These are the birds that completely ignored their traditional migratory patterns and instead do what they want. They are called vagrant birds, and Up until recently, we knew little about them and what made them go so far off course (or not). The recent increase in participation in citizen science has helped unveil some of the mystery about bird migration and even found some previously un-known migratory routes. Here are some reasons that birds may become vagrants and some recent vagrants that have been found in our neck of the flyway. Birds are hardy animals that can survive both extreme heat and cold. Temperature doesn’t greatly affect the birds themselves, but temperature does affect insects that many birds depend upon for food during the summer months. When cold weather hits, some birds such as flycatchers and thrushes (like the Brown Thrasher) head south, others like the Chickadee and Cardinal switch to eating seeds and berries during the cold winter months. Still other birds only go as far south as necessary like the Bald Eagle and Eastern Blue Bird. Often times, a few birds will find a stockpile of insects such as an ant mound or wasp’s nest and stay longer on their breeding grounds, hence making them vacate their normal migratory route. One of the newest theories on the why birds vacate their routes is that it is a natural way for the species to expand its range and increase genetic diversity in the flock. If the ‘’sacrificed’’ bird survives, the species expands its range. If not, one or two birds dying is no big loss to the flock. This theory has come about largely since citizen science projects, such as Cornell’s Great Back Yard Bird Count, allow for ornithologists to examine large quantities of data quickly without having to spend hours in the field collecting the data. This new found resource has led to creation of extremely detailed range maps. This large scale data collection has led to scientists discovering that Rufus Hummingbirds come east before heading south for Mexico. One bird that was banded in Alaska, was re-captured in December in Pennsylvania! Storms are another common source for bird vagrancy. Strong winds and poor weather often disorient birds making them turn up in places they shouldn’t be. Bad weather also has another effect on bird migration, fall-out. Fall-out is when there is a large storm off the coast during migration. Birds flying over the ocean at this time become extremely tired from the less than optimal flying conditions. As a result, they land on the first spit of land they can find. This effect is called fall-out because the tired birds seem to just fall-out of the sky. Fall out occurs commonly at places such as Cape May, New Jersey and South Padre Island in Brownville, Texas. 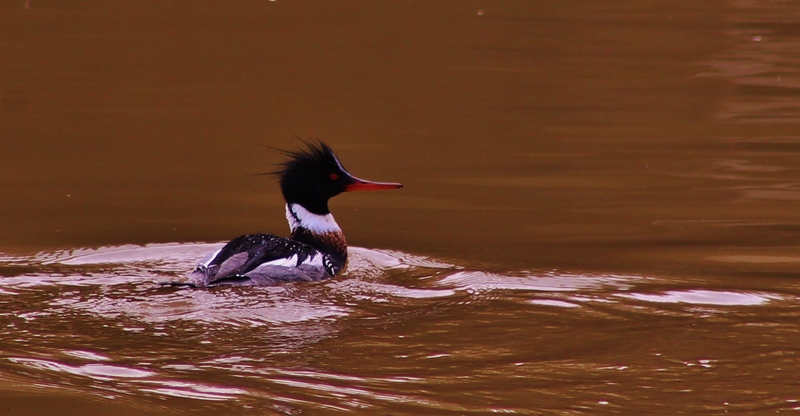 You may have been wondering how birders react when they find one of these vagrant birds. Well, usually if a good bird is found, within the first 24 hours the location is up on the internet where birders are looking for reports of rarities. After the tech birders find out about the bird, mobs of them show up at the location within the first 48 hours of it being reported. After the first mob finds the bird, all of their less tech-savvy friends find out about the bird, and they arrive soon after the tech birders. If the bird has not left by the time the more casual bird watchers find out about it and get to its location, a flood of these “weekend” birders will venture out to see the spectacle. This sometimes results in large ‘’bird jams” in the vicinity of the bird’s location. Some other feathered friends who stopped in for a visit! Nature never fails to surprise us, and vagrant birds are no expectation. Go out and look for these amazing animals but remember to respect private land and other birders. Never get too close to the bird and never disturb a nest or nest cavity. If you follow these guidelines, you enjoy chasing birds for many years to come.